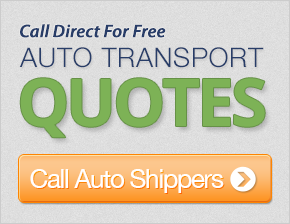 Get up to 7 free auto shipping quotes from the largest, most trusted Mississippi auto transport companies and save up to 50% on your car shipping rates at CarMoves.com. Car shipping companies in Mississippi compete for your business, which is how you can save hundreds, if not thousands of dollars on car transport services by shopping with us. Whether you're shipping a car to Mississippi, across the country, or even overseas, we can help you get the best price on your shipment - guaranteed! Read more about the following auto transport companies in Mississippi before getting a quote. Click on the name of the company to read a full review. Get a free auto transport quote today to find out how much it costs to ship a car to or from Mississippi! Mississippi is a Southern state with a history that is intrinsic to understanding the status of many of its residents. 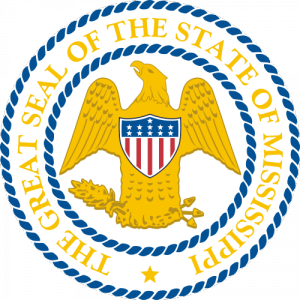 The state, of course, is named after the Mississippi River, the country's largest river, which forms the western boundary of the state with Louisiana. The size of the river and its plentiful water supply have long made Mississippi and other nearby states centers of agriculture, farming cotton, livestock, sugar, and rice. While cotton was the major crop produced by the state prior to the 20th century, in modern times, catfish is the most exported product of Mississippi farms. For the most part, Mississippi's major cities are far less populated than many other prominent states. Jackson, the state capital and largest city in Mississippi, has about 173,000 residents, which is considerably less than Birmingham, Alabama and New Orleans, Louisiana, the largest cities in nearby states. The low population may correlate to the poor living standards of many of the state's residents, which rank last in the country in terms of health standards. Not to mention, Hurricane Katrina devastated many of the coastal cities in southern Mississippi in 2005. Obesity is a major problem for nearly a third of Mississippians, a condition which frequently starts in childhood. Despite the sometimes negative facts associated with Mississippi, the state still has many positive characteristics. The city was largely responsible for developing the Blues, a style of music based on the folk music of working slaves in the 19th century. Biloxi, Mississippi, a coastal city, is the home of root beer, invented by Edward Adolf Barq. Mississippi was also the home of many celebrated American authors, including William Faulkner, Tennessee Williams, and Richard Wright. CarMoves.com works with car shipping companies throughout the state of Mississippi. We can help you get the best prices on car transport services to the following cities in Mississippi: Jackson, Gulfport, Southaven, Hattiesburg, Biloxi, Meridian, Tupelo, and many more. If you don't see your city listed, don't worry - we can get your vehicle shipped anywhere in Mississippi. Scroll to the quote section on this page to compare free auto shipping quotes from up to 7 Mississippi auto transport companies and save up to 50% on your move! View the Mississippi Department of Transportation website for more information.